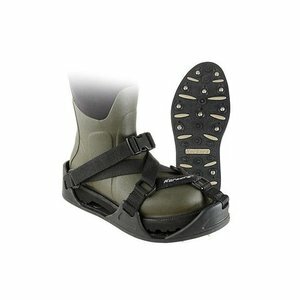 Patagonia Ultralight River Crampons are the highest-traction wading device ever built. After too many slips, slides and near-falls while fly fishing the Madison Rivers famously slick, cobbled runs, Patagonia was determined to find a better traction solution. Drawing on his mountaineering experience, Yvon Chouinard disappeared into the Tin Shed and went to work. The result? 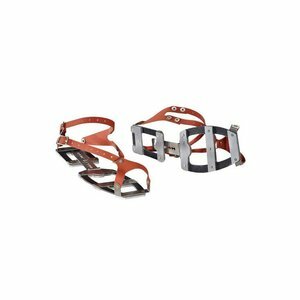 Patagonia River Crampons, the highest-traction wading device ever built. 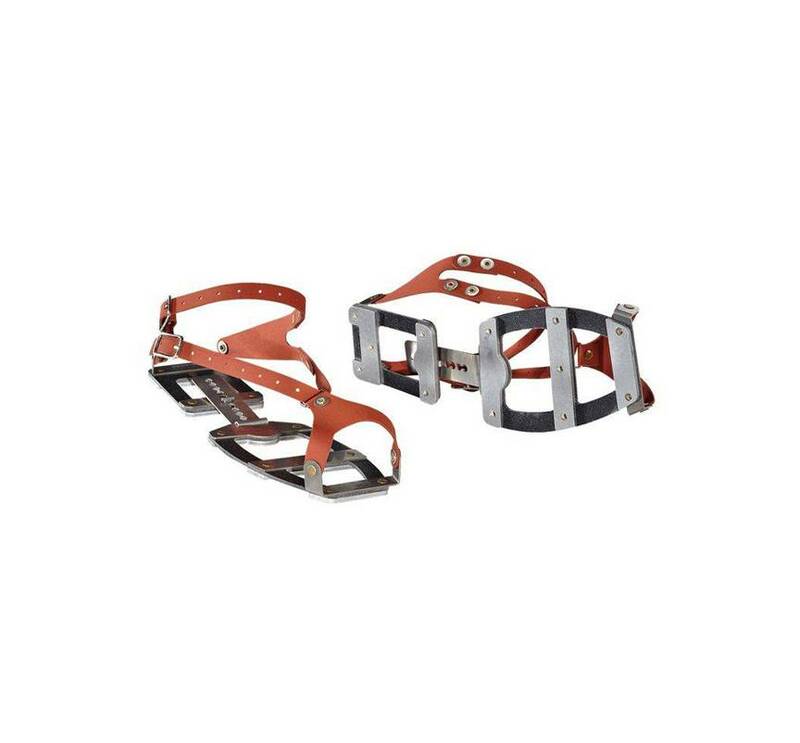 The secret is the widely spaced aluminum-bar treads, which are hard enough to cut through algae and slime, yet soft enough to grip the rock itself. We've made the River Crampons lighter and more flexible by mounting the bars to a fully adjustable, recycled plastic frame, which is held in place with an easy-on, easy-off harness system. 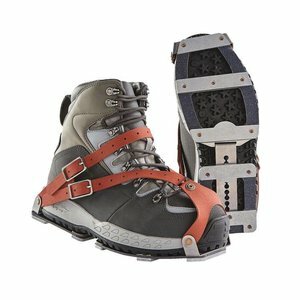 The Ultralight River Crampon fits over any wading boot and comes in two sizes: S/M for size 6 through 10 boots, and L/XL for 10 through 14. Simple, easily cleaned design and fast-drying materials help stop invasive species transport. U.S. patent pending. A great alternative to felt, aluminum bars can provide a unique wading solution in slick and dangerous terrain. 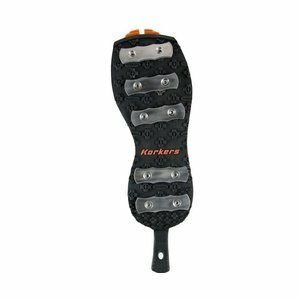 Korkers RockTrax Plus, A versatile cleated overshoe product that provides sure-footed traction on mossy rock, ice, and slick terrain.